I welcome anyone who is starting out on their journey in Indian Music and the sitar with open arms! 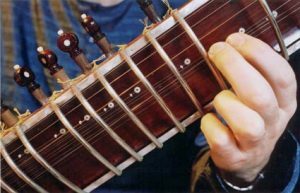 It is impossible to learn the sitar from a book, and apart from the lack of material out there, the aural tradition of learning Indian Classical music should be embraced. 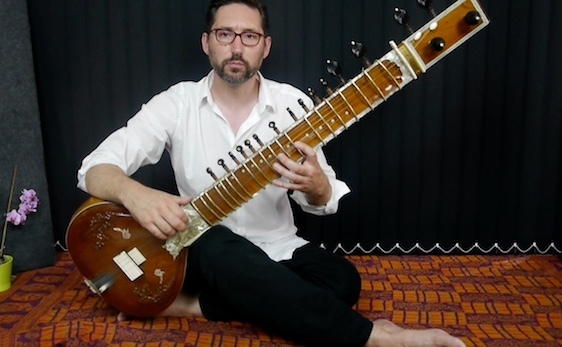 I have loved Indian music and the sitar for a long time but have found very little quality online tuition for people to get started on this fantastic instrument. It is usually necessary to travel (sometimes long distances) to a teacher and in our ever-increasing busy lives this can sometimes be the biggest hurdle in starting. For this reason I have started developing a Sitar Basics Video Tutorial. By the end you will be ready to make an informed decision on the next step of your learning. 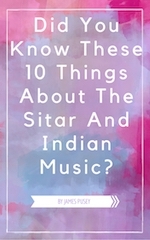 10 THINGS ABOUT THE SITAR AND INDIAN MUSIC YOU MAY NOT KNOW! Your Free PDF Is On The Way! If you are looking for a sitar teacher close to London in the UK please get in touch. I teach from home in the Bromley/Orpington area. The nearest station is Petts Wood, which you can get to easily from Charing Cross, Cannon Street, London Bridge and London Victoria. Contact me for a taster lesson now!